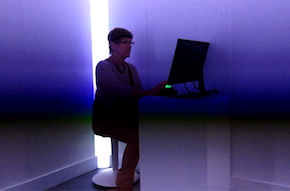 Telephone Rewired is a series of works combining an immersive art installation with an active scientific experiment that invites the viewer to think about the future of human cognition. 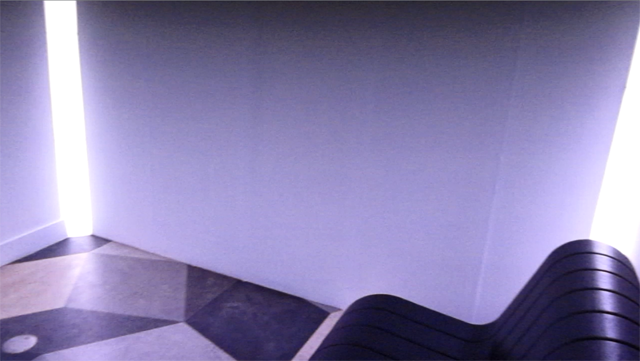 Upon entering the installation space, the viewer is engulfed by pulsing light and sound that mimic endogenous brain waveforms and transport the viewer to an altered state of mind in which patterns and images seem to appear in your visual field. 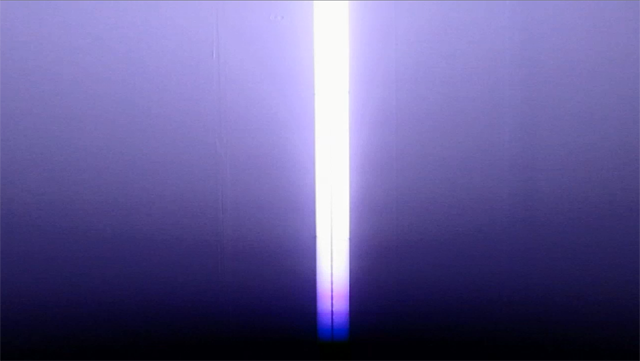 As the viewer’s EEG patterns synchronize with the patterns of the work, the intense experience of flashing light and pulsing sound transition into an increasing feeling of clarity and connection. The course of the journey depends on the exact cycle of brain states delivered by the oscillating light and sound, with some sequences creating a sense of calm and clearing of the mind, while others might deliver a sense of focus and heightened cognitive function. Using data collected from thousands of viewers that have already engaged with the installation, future iterations of the work will be fed by the experiences of previous viewers. 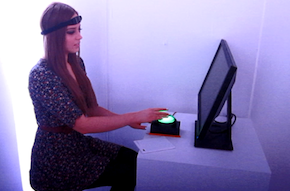 As in a game of telephone, previous viewers’ EEG patterns may be used to create the light and sound patterns for the following viewers, perhaps revealing naturally convergent brain states. The work has broad implications from increasing the capacity of human learning to synchronizing multiple people for greater collaboration and empathy, and generally asks what possibilities exist for a future in which you can toggle the switches of cognition. 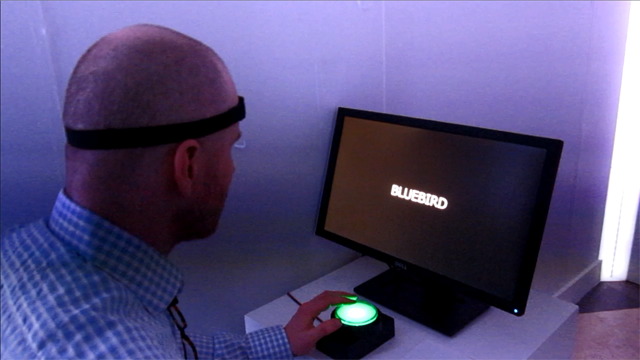 Combining an immersive experience of altered perceptual and cognitive processes with a scientific experiment to further our understanding of the human mind, Telephone Rewired gives viewers an opportunity to consider the potential for neurofeedback and the future of augmented and collaborative cognition. WARNING! THIS WORK PRESENTS A SEIZURE RISK IF YOU HAVE PHOTO-SENSITIVE EPILEPSY. This work was built on the accomplishments of several great open source projects including OpenFrameworks, Arduino and Mitch Altman's Brain Machine.